Riders often cite fun and relaxation among the reasons they ride horses, and on the good days, there is no better way to unwind than time in the saddle. However, there is always an element of danger in equestrian sports, and just about every rider experiences nervousness or fear at some point. 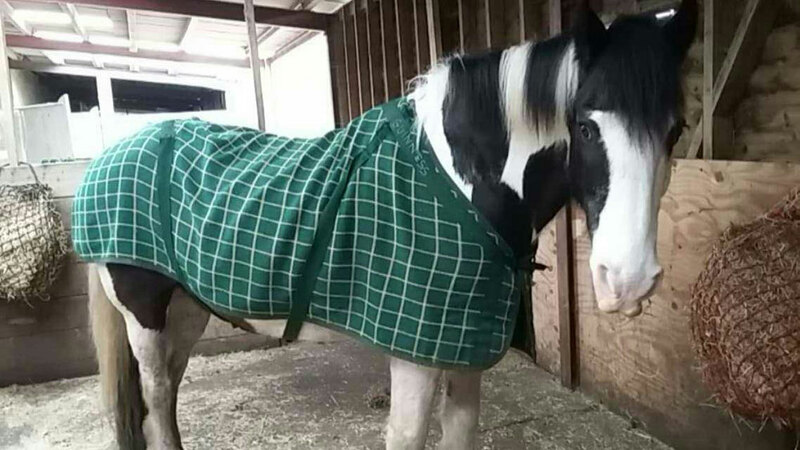 With that in mind, we asked our readers to share stories of how they worked through a riding-related fear with the goal of inspiring other horse lovers who might be going through a similar situation. Here are some of the stories that you sent us. “Having struggled with fear issues for the past four years, I feel compelled to share my journey,” writes Deborah Collins. 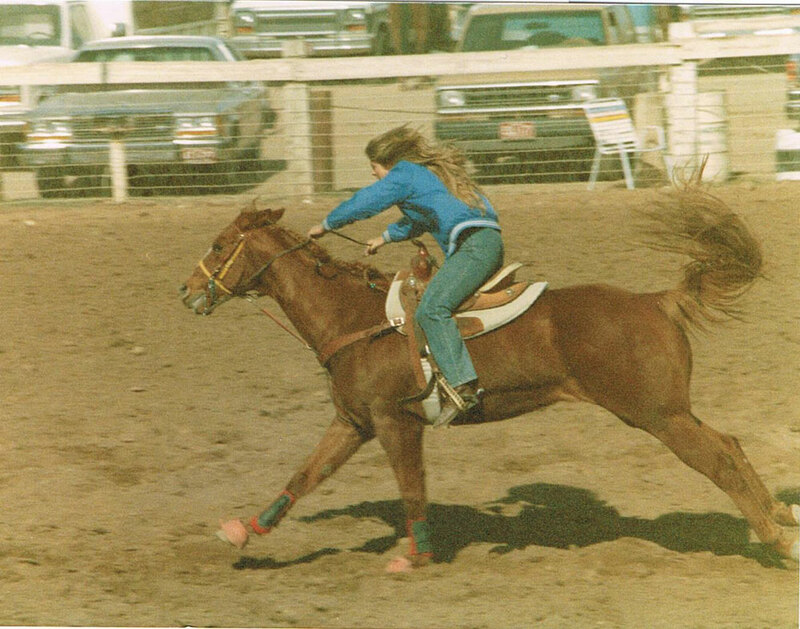 The change in mentality that Deborah experienced later in life came as an unpleasant surprise, one that many equestrians of a certain age will recognized. “Approaching my fifties, something physiological took place deep inside me,” she continues. “Suddenly, I had anxiety for no reason, to the point where I had my doctor run blood tests to rule out any underlying health issues. Everything came back in normal range. Anxiety is a creeper. It strikes when least expected, usually for no apparent reason. When it comes time to ride horses, my anxiety rears up and takes a nasty grip on my confidence. Once I get past it, the joy and comfort in riding returns and eventually fades any fear and anxiety. But it is a battle I would rather not have to deal with at all. Why can’t I just ride a horse and enjoy every second, the way it used to be? Deborah’s husband quickly found his equine match in a beautiful, long-strided Tennessee Walking Horse. Meanwhile, Deboarah continued taking riding lessons and working on her natural horsemanship skills in an effort to boost her confidence, but it was a rocky road. “I went through four Walking Horses, all great horses, but not for me. Usually my confidence issues would find a way of unfurling our human/horse relationship and I would find the horse a more suitable owner before starting all over again. Deborah explains that Scooby’s desire to jump over every creek and ditch on the trail and her efforts to make him walk quietly across led to some wild moments. Other trail riders suggested Deborah get rid of Scooby in favor of a quieter mount, but that no longer seemed like an option. “Strangely enough, in spite of our riding dilemmas, there was a bond forming, similar to the one I had had with my old trusty gelding,” says Deborah. “We went on another trail ride and things got better. Thankfully, we seem to have gotten past the bucking problem. After enough rides together, he has made me a better rider and he is starting to trust me over the ditches, which he is now taking his time over, rather than trying to cross in a single bound. We are working together and helping each other. There are plenty of times that I get on and still feel that slightly jittery feeling in my legs. He seems to sense it and lowers his head, letting out a big sigh, sending that sweet lower lip fluttering. He lets me know everything is going to be ok and we ride on! While many lifelong equestrians start out with youthful confidence, fear certainly isn’t exclusive to older riders. Young rider Victoria Amott describes her struggles with nerves as she learned to ride. Victoria learned to ride in group lessons, and the relatively short amount of time in the saddle she got each week made for slow progress. Being in group lessons turned out to be helpful for Victoria as she worked through her anxiety. But Helene’s love of horses and riding and her desire to keep learning carried her through the rough patches. She has attended clinics with Clinton Anderson, Pat Parelli and Buck Branaman as well as learning from her barn family. “I feel much less afraid the more I do,” she says. Today, she canters and even jumps crossrails. Helene admits that riding still isn’t always easy. Falls happen. The love of horses and desire to improve as a rider often conflicts with the fear that comes with the sport. Even with the mixed feelings around riding, Helene stays positive. 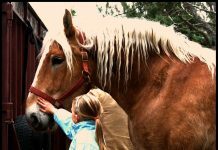 Getting through a horse-related fear can translate to overcoming fears in other parts of your life. That’s what Sandy Lentz-Hack found out when she started competing with her horse. “My greatest fear and obstacle was being alone in front of people that are watching me,” Sandy explains. “Situations like standing up in class to do an oral report, jobs that might require me to talk to people in groups or one-on-one, et cetera always terrified me. But over time, Sandy’s confident horse helped her gain her own confidence competing in front of spectators, and that led to more confidence in other venues. For more on overcoming nerves, see Face Your Fears in the June 2016 issue of Horse Illustrated. Click here to subscribe! Story many can relate to. Great article!! I am actually just starting to ride again at 29 after an almost 15 year hiatus. I am nervous all around but excited to get back to riding! !